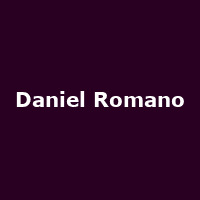 Daniel Romano is an award-winning Canadian musician, poet and visual artist from Ontario. A founder member of Attack in Black, Daniel has worked with the likes of Julie Doiron, Frederick Squire and has produced for City and Colour. He released his debut album, "Daniel, Fred & Julie" in 2009, followed by: "Workin' for the Music Man" (2010), "Sleep Beneath the Willow" (2011), "Come Cry With Me" (2013), "If I've Only One Time Askin'" (2015), "Mosey", "Ancient Shapes" (both 2016) and 2017's: "Modern Pressure".